The Darko offers both traditional lacing as well as the Boa™ Mobility Conda for a extra heel hold. Keeping flex and comfort in mind, this freestyle boot has a flex rating of 3 and an Intuition® Comfort Foam 3D Liner. For absorbing extra chatter, the Darko Boot has a Rubber Light Out sole with combined Harshmellow. 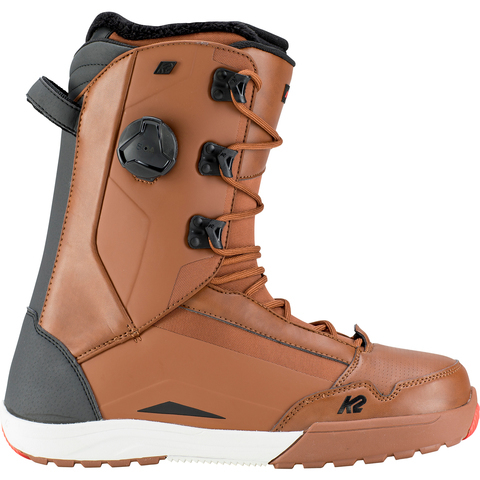 This freestyle flexing boot also has enough support to venture all mountain. Liner Lacing: Boa Conda interior lacing: tightens around the ankle for extra support or ease of relieving pressure at the Twist of the side boa.